11 Amazing Beauty Benefits of Coconut Water for Skin & Hair - beautymunsta - free natural beauty hacks and more! Hello beauties! Do you know of the beauty benefits of coconut water?! You’ve got to check them out below! Ahh…coconut water – just hearing the name makes us think of beaches and vacays! 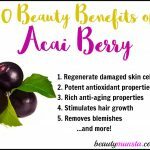 But while you sip the natural goodness, know that it’s going to make your skin glow like never before while providing a bevy of other health & beauty benefits! It’s filled with electrolytes, vitamins like Vitamin C, minerals such as magnesium & potassium, amino acids, omega 3 fatty acids and enzymes. All these promote natural beauty from the inside as well as outside! Regularly drinking coconut water prevents premature aging of skin while reducing existing wrinkles. Coconut water also contains Vitamin C which increases collagen production and makes skin elastic and firm! Coconut water is a good natural cleanser for your face! Simply dip a clean cotton ball into coconut water and gently wipe your whole face. 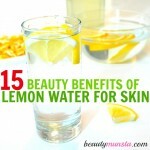 This will clean, freshen and hydrate your skin! Toning your skin with coconut water feels so hydrating and nourishing! Simply transfer ¼ cup of coconut water into a 2 oz amber glass spray bottle. Store it in the refrigerator. Mist it all over your face after you wash it. Coconut water is said to balance the body’s pH and reduce acidity. 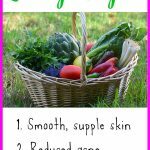 It also balances skin pH which promotes healthy and glowing skin! Guard against sunburn by sipping on coconut water, which is full of antioxidants that deflect free radicals in the sun’s rays. It can also be used to soothe and heal sunburned skin! Just store some in a spray bottle and mist all over your sunburn! 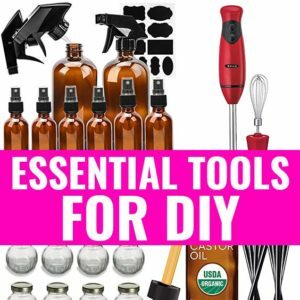 Leave-in Conditioner for Frizzy Hair: Into a spray bottle, add ¼ cup of coconut water, 2 tbsp jojoba oil and 5 drops geranium essential oil. Shake well. Lightly spray onto your scalp & hair after shampooing and conditioning to keep hair frizz-free. Just like spritzing coconut water on your skin, spray it on your scalp to reduce hair fall by nourishing the hair follicles, treating dandruff, reducing excess oils and hydrating a dry scalp. Coconut water is made up of water and contains electrolytes that energize the body as well as plump up and hydrate skin cells! Enjoy drinking coconut water regularly and mist your skin with it to naturally freshen & hydrate! Facial Mask for Blemishes: Into a small non-metal bowl, add 1 ½ tsp bentonite clay, 1 tsp coconut water, ½ tsp manuka honey. Mix well and apply on your clean face, avoiding the eyes. Wait for 10 minutes then rinse off with cool water. Drinking coconut water feeds your skin cells with much-needed moisture. 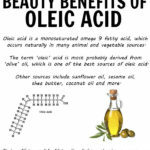 It also contains omega 3 fatty acids that make skin supple and glowing. Use coconut water as a hair rinse for shiny and silky hair. Pour a cup of it slowly over your hair as the final hair rinse. 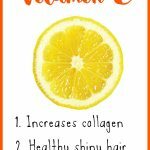 It also helps repair damaged hair! Do you have oily skin? Try using coconut water as a face toner or cleanser! It hydrates skin and removes excess oils. You can enjoy the above amazing beauty benefits of coconut water by consuming it regularly and applying it topically too!